The universe, or the cosmos, has already preselected your soul mate. While this may seem a bit far-fetched, the universe has a grand plan for us – including the people in our lifetime. This is why it is so urgent to go with your gut feeling. Whether you understand it or not, that gut feeling has the potential to lead to your soulmate. While the universe has your pre-selected soulmate, people often ignore the gut feeling or settle down for some other kind of personal issues. This causes them to never fulfill the ‘prophecy of love’ set forth by the cosmos. 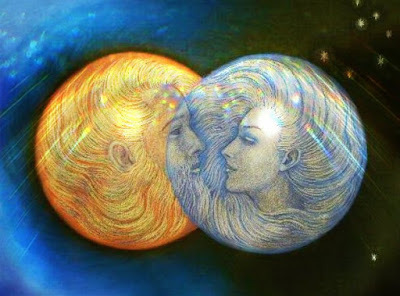 Cosmic marriage is guaranteed to not only succeed over time but blossom into a beautiful, loving, empathic companionship. Marriage with a true heart connection is becoming more and more a rarity in the modern day. Love is not all the dilly-dally the movies make it out to be. Love is painful, knowledgeable, hurtful, anxiety-inducing, exciting, compelling, and life-changing alone! If you don’t have that gut feeling about your partner it is okay! You should never feel guilty for the way the universe designed you to be. There is that perfect someone out there, do not ever give up hope!